What sort of food comes from Arkansas? Our state is blessed with a rich heritage of game such as deer, boar and elk as well as a plethora of game fowl and a great measure of fish. But what have we created as foods we can share with others, true home-grown creations? Here are five dishes that come from Arkansas. 1. Chocolate gravy. This breakfast addition came to us in the early part of the 20th century, with the spread of the use of cocoa powder. The methods to make it vary, but it includes cocoa, sugar, butter and flour, is either made from a roux or a milk base, and is always served over biscuits. Delish named it the food to represent Arkansas. Here's a recipe. Check out how the folks at the Wagon Wheel in Greenbrier make it. 2. Possum pie. Variations of this dish are made elsewhere, and it has different names in different parts of the state -- Four Layer Delight, Chocolate Torte, Robert Redford -- but the idea is the same: a cooler pie with cream cheese and a flour-and-pecan crust on the bottom, whipped cream and pecans on the top and a layer of chocolate custard in-between. Its name comes from the fact the pie is "playin' possum," which means you don't know what's in that pie until you cut into it. Check out Debbie Arnold's recipe and video. 3. Cheese dip. Created by Arkansas native Blackie Donnelly, first served up at Mexico Chiquito in the 1940s and celebrated in the film In Queso Fever, this concoction of cheeses and spices has definitively been linked to The Natural State. Restaurants all over will tell you theirs is the best. Want to find a place to dip your chip? Here's a rundown of the most famous of Arkansas cheese dips. 4. Fried pickles. Created at the Duchess Drive In in Atkins by Bernell Austin, these sour wonders have seen their way around the world. Other states may claim them, but they are an Arkansas original. Check out the history behind the dish and a couple of recipes here, and see how Gus's Fried Chicken makes their own version. 5. Arkansas Delta Tamales. Arkansas Delta tamales were originally introduced by the St. Columbia family. Grandfather Peter came to the United States in the last decade of the 1890s and ended up in Helena, where his odd jobs took him out into cotton plantations worked by Mexican immigrants. He gave them pasta recipes, they taught him how to make tamales, and that recipe has been refined through the generations and through the soul food restaurant the St. Columbias financed. 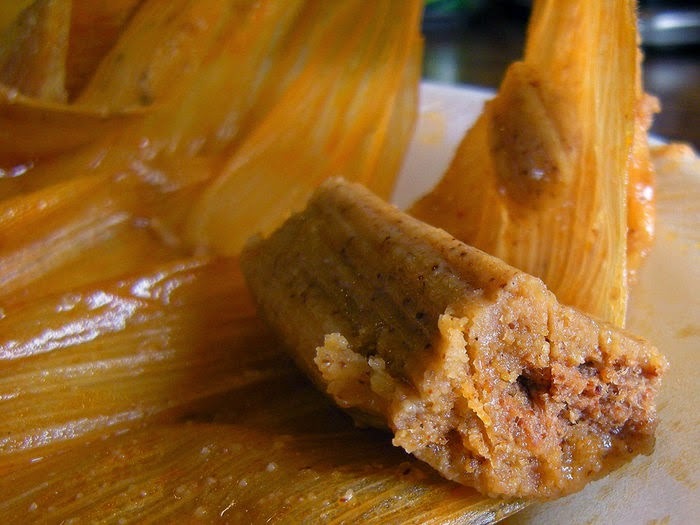 Learn more about the Arkansas Delta Tamale here. 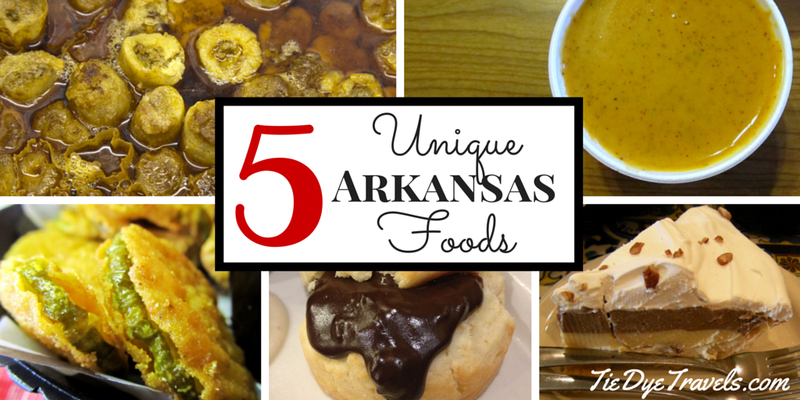 Want to learn more about Arkansas foods? Check out my books Classic Eateries of the Ozarks and Arkansas River Valley and Classic Eateries of the Arkansas Delta -- and learn more about possum pie in Arkansas Pie: A Delicious Slice of the Natural State. Awesome. Couldn't find it earlier this morning. If you can believe it, I have never had chocolate gravy. All the other foods are staples for me. Enjoyed your clip on Arkansas Pie & Possum Pie! I also have NEVER had chocolate gravy. I've heard tell of it my whole life. Someone make me some biscuits and chocolate gravy! I had chocolate gravy when I was about 14 and not since. I want to try it again! It was SO good. Just not something my mom was in to making. My mother always tells me stories of the chocolate gravy and biscuits she had for breakfast many times in her family growing up! She made it for me once and I loved it. Also, I LOVE fried pickles. I actually made a healthier version and posted the recipe on my blog. It's Baked Pickle Chips if you search for it. I'm convinced Mexico Chiquito's cheese dip is simply water (or maybe 2% milk), Velveeta, and taco seasoning heated inside a bain-marie/double boiler. I would be very surprised if it wasn't. The last time I made cheese dip I combined 2 lb. of plain Velveeta cheese, a package of McCormick taco seasoning, and purified water. I'm not sure how much water I added, but it was more than just a splash. I would say it was at least two cups or more. Next time I'm going to measure out the water and document how much I add. It was pretty darn close in taste and appearance. I'm going to make my own taco seasoning to avoid the potato and corn starch found in the commercial products. It thickened the cheese dip, and made it hard to get it to melt consistently. The next day it was a solid block of cheese again. I've chilled leftover dip from M.C. before and it does NOT thicken like that overnight. Also, you have to use the double boiler because you want to get the cheese dip boiling hot without scorching it. As far as I'm concerned, if it scorches even just a little bit it's ruined. A crockpot seems like a good idea at first, but it takes hours to melt it properly, and it cools as soon as you open the lid.